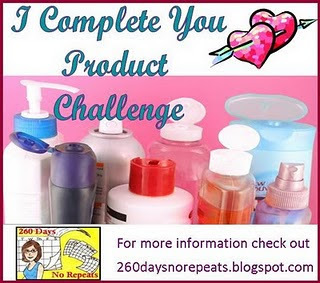 Inspired by Iris at 260 Days, No Repeats before I even started this blog, I realized that I had way too many bath and skin care products. Not only did buying all those extras cost me unnecessary money, but they were going to waste sitting in my linen closet and medicine cabinet. So in the spirit of cutting back, I promised myself that I can’t buy a new product until I use up all that I already have in that category. This is my way of keeping track, which I update monthly. Interested in joining? Check out Iris’s blog for more information! Oh wow! I have just noticed this list! Need to make one for myself as well! I’ve got beauty products coming out of my ears! It was a little terrifying making this list and realizing just how bad my addiction is. However, it has serious curbed my spending on products and helped me compare which ones actually work for me or not.